-- A superb narrative of Napoleon's return to France in 1815-- The first of two volumes on Napoleon in 1815-- A brilliant survey of French attitudes to NapoleonThis unique and atmospheric volume presents the dramatic story of Napoleon's escape from Elba and march on Paris in the words of eyewitnesses and participants. Drawing on hundreds of first-hand accounts by Napoleon's supporters and opponents, Paul Britten Austin recreates the drama of those tumultuous days of the Spring of 1815 and throws light on the mixed French response to the unexpected return of their former emperor. 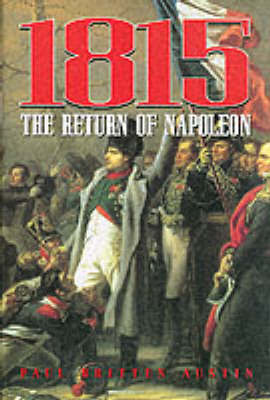 1815: The Return of Napoleon recreates, in the words of those present, Napoleon's dramatic landing at Antibes in the south of France, the first heady days of his arrival after almost a year of exile, his almost miraculous march across France, his arrival in Paris, and the coup which led to the fall of the Bourbons.